Yes, Adam Levine Totally Cried At His Wedding! "Behati, I love you more than I love myself and we all know how much I love myself." 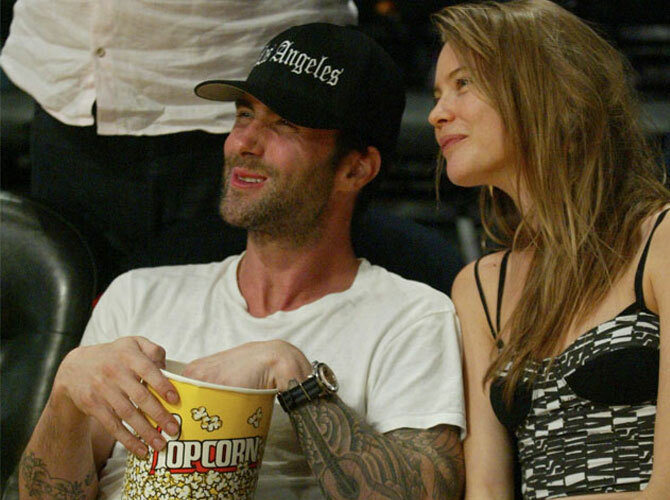 Adam Levine wept as he married Behati Prinsloo. The Maroon 5 singer and the Victoria's Secret model tied the knot in Cabo San Lucas, Mexico, on Saturday, July 19, and the "light-hearted, short" ceremony—which was officiated by Jonah Hill—left the groom, his new bride, and their guests feeling emotional. A source told RadarOnline.com: "Everyone was crying, including Adam, and even the guests who didn't know the family very well were crying tears of joy." The 35-year-old singer managed to hold back his tears to say his vows, which he penned himself in just 20 minutes, and even managed to poke fun at himself. He reportedly said: "Behati, I love you more than I love myself and we all know how much I love myself." And Adam wasn't the only one to make the guests—which included How I Met Your Mother star Jason Segel and Iron Man actor Robert Downey Jr—laugh as Jonah prompted giggles when he shouted "Well done" at the end of the ceremony. Insiders at the wedding previously praised the Wolf of Wall Street star for his "sweet" words at the ceremony. A source said: "Jonah was hysterical. He was telling so many jokes, but then in the middle would be so sweet and sincere. "He also talked about how sweet Behati is and how perfect they are for one another."